After completing the third overnight flight in 4 days an arrival routine was established. 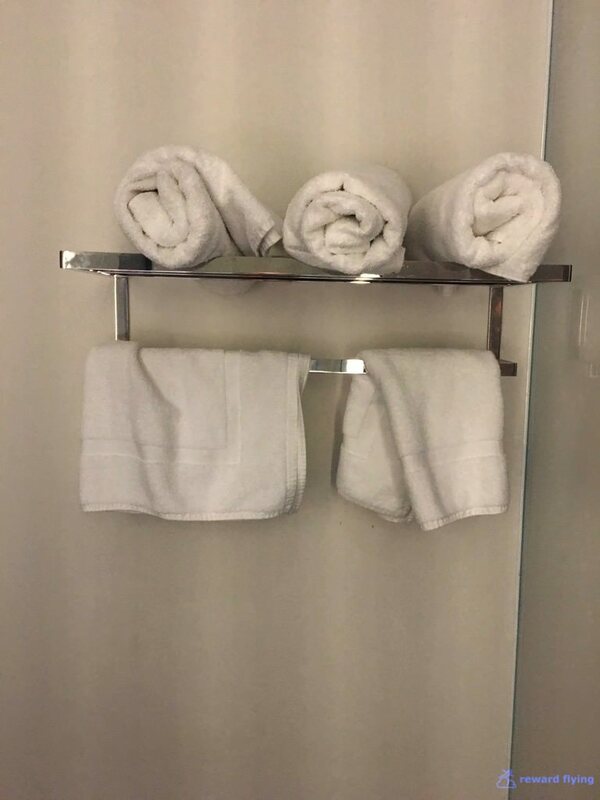 Shower first. I headed through Sydney's transit security then up the stairs to Air New Zealand's lounge within five minutes of saying goodbye to Thai's 747. After admittance I made a beeline to the shower room. Adequate, nothing special. Mission accomplished. I faced a long layover, about 7 hours. 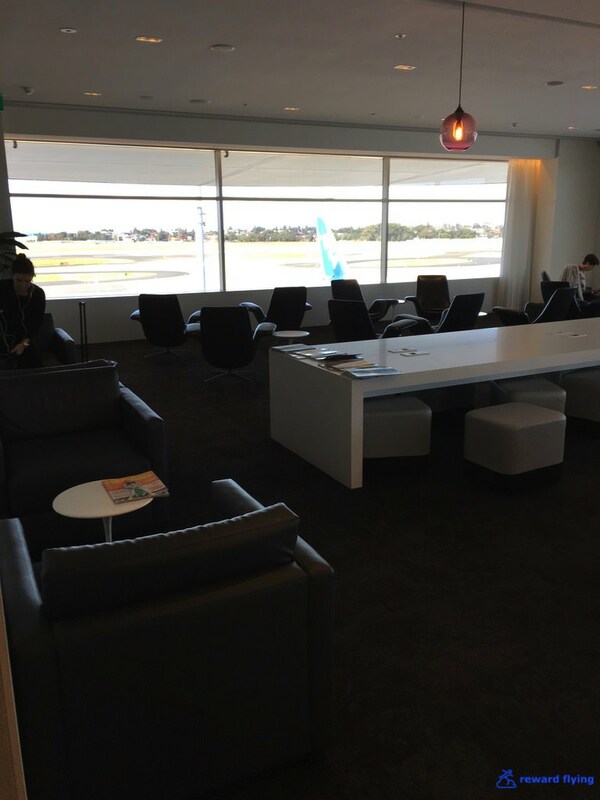 The lounge was large for a non hub facility considering many flights from Sydney to New Zealand are on A320's which don't have a business class cabin. It was empty when I arrived around 7AM. By 9AM it was full. After the morning rush it cleared out. 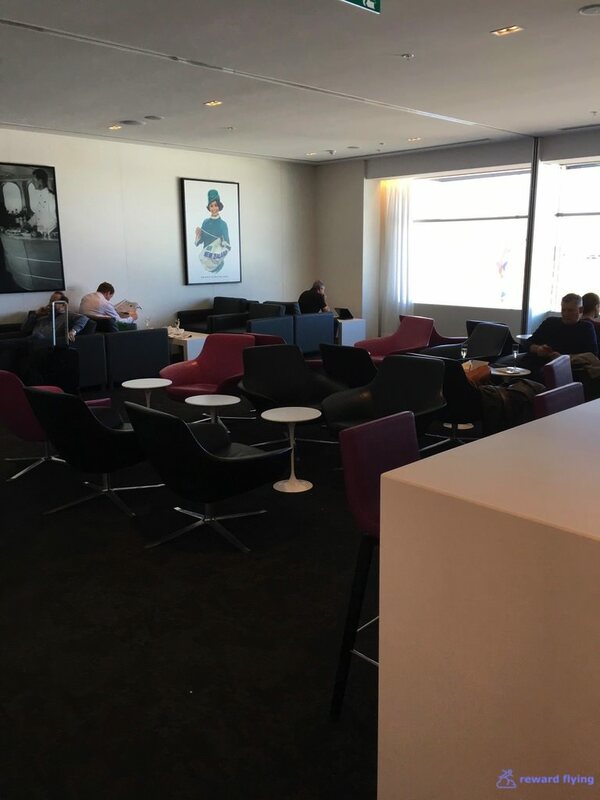 The lounge offered great views of gates 53-59 and the adjacent taxiways. The original choice across the Tasman had been this LATAM 787, however when this trip was scaled back the LA 787 got axed. The replacement was this NZ 787. Unfortunately I'm not getting the all black version which had been a major hope/goal that will now be forever wanting. Food and beverage was plentiful. One thing I can confidently say about Air New Zealand lounges is they do not skimp on food in their lounges. Barista bars are common in NZ and QF lounges. I'd left the lounge and gone into the terminal to do some sightseeing and store a bag. 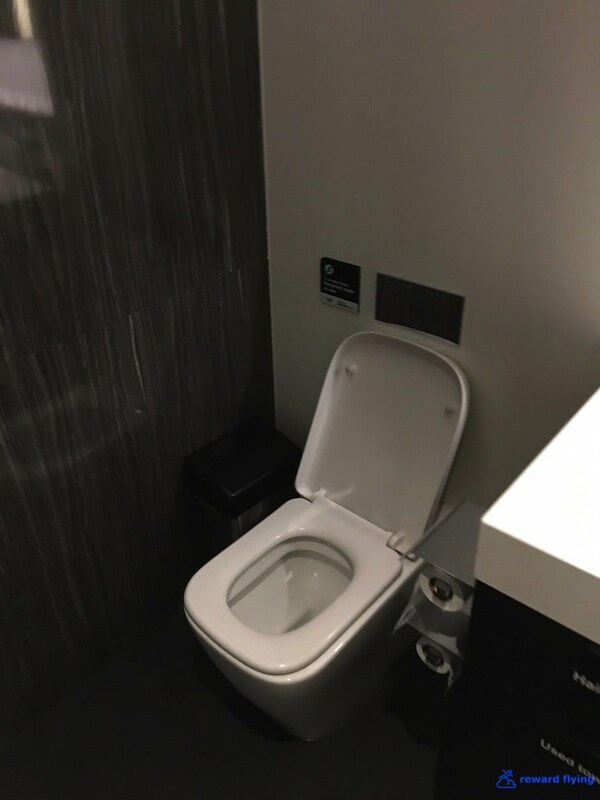 The amenities collected from three prior first class flights didn't need to cross the Tasman and on the trip back home I'd be connecting through Sydney. Back at the lounge I still had 90 minutes to go. NZ110's flight status suggested to relax. I wonder what the departure board says when the aircraft door is about to close? Run? Panic? Finally it was off to Gate 60, just 2 minutes downstairs from the lounge where I met Chip. 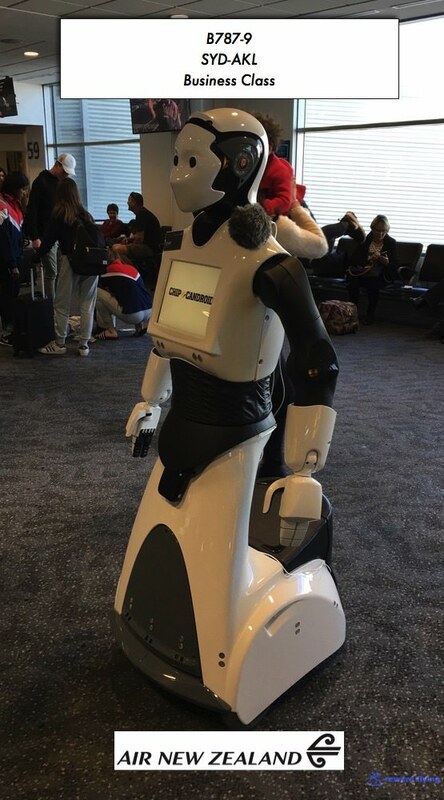 Chip was standing right in the middle of the boarding area where he (it) was continually speaking to no one in particular. He was saying if anyone had any questions he could answer them. I'm not sure what questions someone would want to ask, maybe how long the flight is, if it's on time, weather, etc. But no one asked Chip those questions. They just tried to slip him up, like asking him to take a photo, or a selfie. Chip was undeterred not falling for such foolery. He remained focused on flight details, I guess. See you later Chip. Time to board. Yes it is a beautiful cabin. But the devil is in the details. Air New Zealand has 18 business class seats. Three across and six deep. Between door two and the business class cabin are 21 premium economy seats in 3 rows of 2x3x2. If I were purchasing a flight on Air New Zealand I'd go with premium economy. Last year flying NZ's 787 I reserved 6A which is a seat in the back of the cabin where no one can stare at you. Air New Zealand now blocks this seat from pre-assignment which I assume elite status can reserve. This time I reserved 1A. My view would be the cockpit, at least until I strapped myself into the coffin. The ottoman has a seat belt. Underneath the ottoman is your main storage area other than the expansive 787 overhead bins. On the left side the ottoman takes up around 25% of the aisle. On the right side where two ottomans protrude out, I wonder if the aisle is any wider? Sorry, I'm just setting up for my rant on what a silly design this is for a business class seat. After flying Virgin Atlantic in this type of seat a few months back, I complained in that report about sitting in row 2 and being unable to reach the window control. You had to actually get our of your seat to adjust the window tint, unless you were a contortionist. I also suggested that having flown Air New Zealand where I was able to adjust the tint, albeit awkwardly, that they must have a different configuration. If you sit in rows 2, 4 and 5 you can't reach the button while sitting down as shown below. 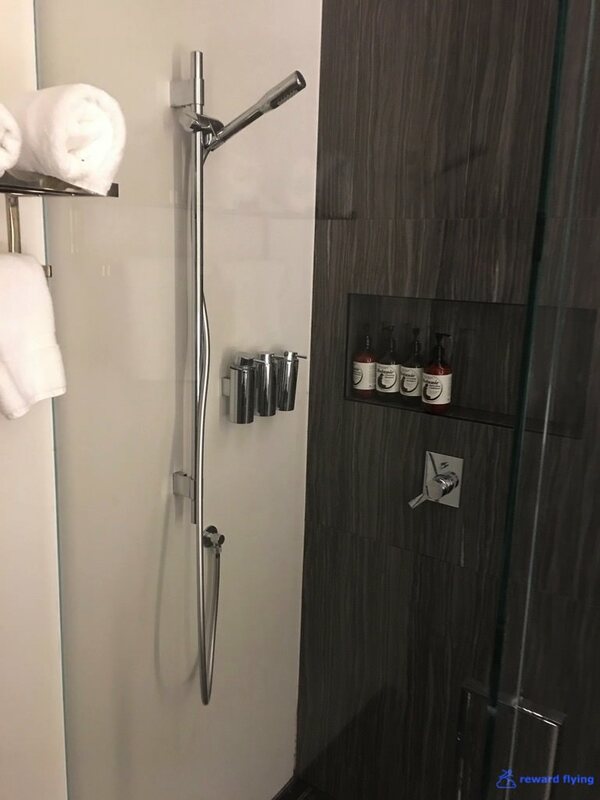 On your left side, and actually behind you is a drink tray. Surely unintended, extending the tiny monitor provides a better shelf for your nuts and drink. You have an elbow rest on the left side as it's not long enough to qualify for the description of armrest. And if you want some more room, which you do, it can be lowered. On your right side is a full arm rest, well for short arms, along with the seat controls. The seats do not fully recline and when converting to a bed the entire seat is flipped over. It's similar to Singapore Airlines' premium class seat/bed. This can't be called a reading light. Maybe it's a night light. Forgive me, I was mistaken when I said the only storage was underneath the ottoman. How could I have missed this! Down in the storage area next to the seat, along with the magazines, placards, headphones and water bottle are the power ports. Fortunately there's a light so you can locate them. If you need a USB there's one located under the monitor. Assuming you can find the monitor as it's rather small. You are probably thinking, well if he hated this plane so much why did he take it? Fair enough. Last years flight was pleasant. Great crew and good food made for a nice trip. Plus this flight was part of the 40,000 point Thai first class trip so essentially it was free. (I will miss United's reward fares from South Asia to Australia for sure when they change 11/1/2017.) Of course flying a third overnight in four days and a seven hour layover prior to this flight didn't set the stage for an enjoyable experience. Yes I was tired. Ellie and Nellie were the cabin attendants on this flight. Nellie was back to work after 5 weeks off, having gotten married and just back from her honeymoon. So you know where her mind was. And so went the service today. Yes it was adequate, but remindful of US domestic service. Much ado about the wines, stating of a couple Hawke's Bay bordeaux style wines but following Star Alliance partner United Airlines' infinite wisdom of, "Please ask your flight attendant" for what's on board today. Then I stumbled across another menu of wines for today's flight on the IFE. It appears the red choices are one of the bordeaux styles, a syrah and malbec. But not really as the only choice for today was one of the bordeaux style reds from the menu. While I didn't partake in the champagne, the Te Mata Coleraine was a very, very nice wine. I still love the 787 windows, assuming you can adjust the tint. But I don't recall any turbulence. Even still it was the highlight of the meal. As the north island snapper was boring which is too bad as I like barramundi. I passed on dessert and probably passed out as well. Fortunately this is a short flight, only 2 1/2 hours. We arrived at sunset. Somehow I managed to twist my body and get a grainy photo of the arrival. The entrance to immigration, New Zealand style. ✔︎The cabin is very attractive, the issue is the seats. ✔︎These seats aren't comfortable to sit in. Your toes get bumped by the flight attendants, the width is confining, you can't fully recline the seat and should I get into the window controls? ✔︎Meal selection was good and it was nicely presented. ✔︎B787-9 The 787-9 is a great plane. I love the windows! My destination was Wellington which is about an hour away. 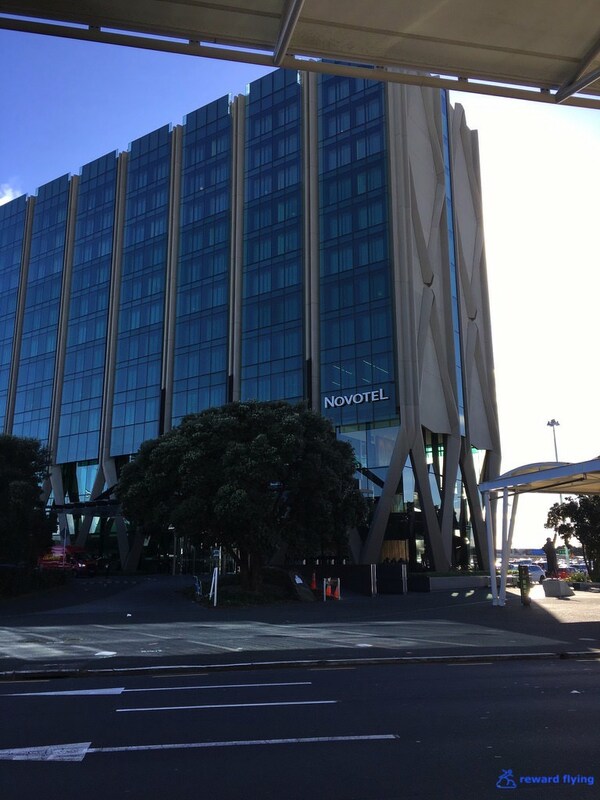 Instead of flying that night, making for a ridiculously long trip, I opted to stay overnight at the Novotel Auckland and catch a flight to Wellington in the morning. The Novotel is across the street from the international terminal. It's nice hotel but a typically expensive nice airport hotel at about $200 a night. On a beautiful winter morning you couldn't beat the view of this NZ 787 racing down Auckland's only runway. Auckland's domestic terminal is about a 15 minute walk from the hotel. Check-in was done via mobile app, bag tagged, dropped and I was at the lounge in no time. I was traveling on a paid $67 economy ticket to WLG. Because I'm Star Alliance Gold I had lounge access. Otherwise you must be a paid Koru member. 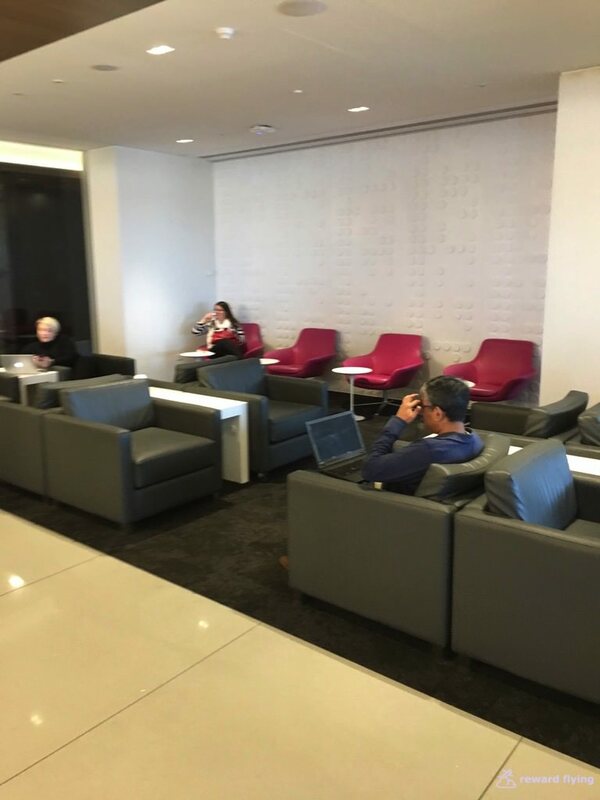 The lounge was large, had a barista in the back as well as reserved seats, for someone other than me. And another impressive spread in an Air New Zealand lounge! Air New Zealand's domestic routes are mostly flown by single class A320's. These planes have been around awhile. You can get these domestic flights to Wellington for $50-$75 using the Air New Zealand website with your location set to New Zealand. If set to US be prepared to pay lots more. You can pay extra to sit up front but there isn't anything special like extra room or no one in the middle seat. Just the luxury of getting off earlier than most. Did I mention these aircraft were getting old? Gotta love the original A320 drop down monitors. Off to Wellington. Get a window seat. A bottle of water was today's amenity and in a few minutes we were approaching WLG. Welcome to Middle of Middle Earth.